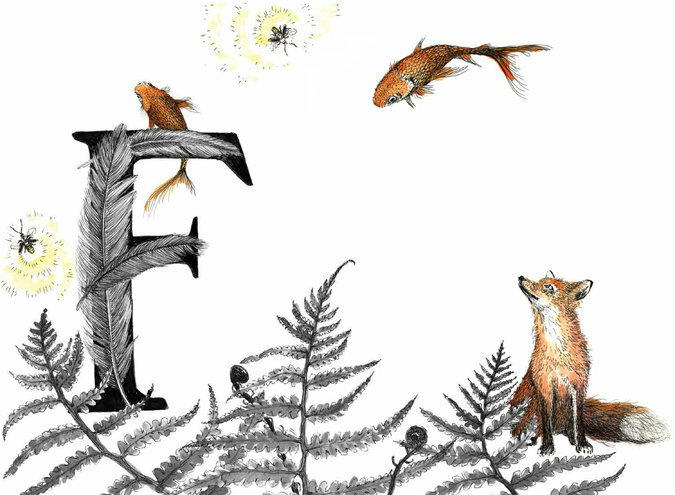 Summary: A wordless alphabet book. Each page has a letter with two to eight objects that start with that letter. For instance the A has an argyle pattern; on its peak is an apple with two arrows shot through it. Lying next to it is an apple core crawling with ants. Illustrations are predominantly black and white ink with splashes of color. The last two pages list all the objects by letter so the reader can check and make sure all were found. 48 pages; ages 3-7. Pros: Kids will love seeing how many of the objects they can find in these gorgeous illustrations. Cons: I wasn’t all that good at finding everything. Summary: Each sense gets its own special section, in which adorable preschoolers hear, smell, see, touch, and taste, and sometimes react to their experiences. Example: “I hear the birdie. I hear the bee. Uh-oh! I don’t hear the worm.” Each section has 15-20 experiences, so kids will definitely get the idea of what that sense is all about. The pickle ties it all together on the last page, as it is seen, smelled, touched, tasted, and heard…crunch! 32 pages; ages 2-6. Pros: A gently humorous introduction to the senses. The multicultural cast of kids is a cute and curious bunch, enthusiastically exploring the world around them. 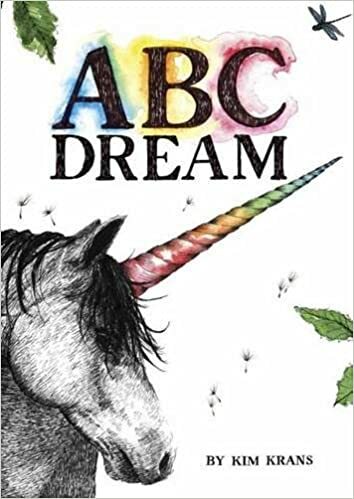 Cons: Adult readers could tire of the repetitious text if this becomes a favorite book. Summary: Some presidents have faced personal challenges, some have faced national challenges, and some, as the author describes on the first page, have faced both. She then goes on to a light-hearted introduction to Franklin Roosevelt, and how he aspired to be like his famous cousin Theodore. He got off to a good start—young Franklin was rich, smart, and determined. He soon was making a name for himself in the New York legislature and as Assistant Secretary of the Navy. But shortly after his 39th birthday, he was struck with polio and paralyzed from the waist down. Although he never recovered use of his legs, he learned to stand with braces and went on to become NY governor, then President of the United States. And there he was faced with a national challenge, the Great Depression. Using the same determination that helped him overcome polio, he worked hard to improve Americans’ lives. The book ends with Roosevelt’s second term inauguration. An author’s note gives more information about Roosevelt’s life and some of the programs he started during the Great Depression. 32 pages; ages 6-10. 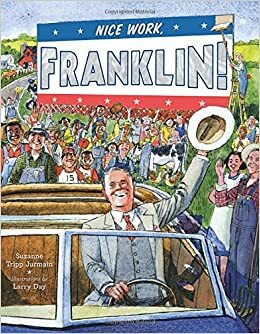 Pros: This is the third book of U.S. history by this author-illustrator team (George Did It and The Worst of Friends are their other two). Although the subject matter is serious, both the text and the illustrations are upbeat and humorous. While Franklin Roosevelt comes off in a positive light, there is some balance in describing why some Americans didn’t like him as President. Cons: The book begins when Roosevelt is a young man and ends in early 1937, so this is not a complete biography. Summary: Long ago, Miss Wilhelmina Moon traveled to an island off the coast of France to work as a governess to sixty seven dogs. This job has given her a great deal of expertise about dogs and life in general. Here, she shares twenty of the most important life lessons she’s gained from her years as a dog governess, such as “Friends come in many shapes and sizes” and “Be true to your adventurous spirit”. Each lesson is accompanied by a painting of the indomitable Miss Moon and several of her charges in interesting situations. The final page is a class picture in which all the dogs are identified by name. 48 pages; ages 4-8. Pros: An unusual Canadian import, this book doesn’t really tell a story, but you sense there’s a story behind it. Any illustration/lesson could be used as a writing prompt. Each dog is unique, and kids will enjoy finding out the names of their favorites at the end. Cons: Some of the lessons may require some explanation for the youngest readers. Summary: Ten-year-old Manami lives happily with her parents and grandfather on Bainbridge Island, Washington in 1942. 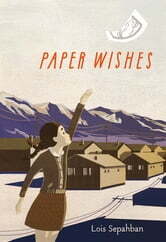 Her whole life changes when her family is ordered to leave the island for a Japanese American prison camp in the desert. Hardest of all is leaving Yujiin, the family dog. On an impulse, Manami hides Yujiin under her coat, only to have him confiscated when the family gets to the mainland. Overcome with grief and guilt, Manami stops talking. Her family is loving and supportive as they try to adjust to life in the barracks and the harsh desert climate. Manami is a gifted artist, and she draws many pictures for Yujiin, sending them out on the wind with the hope that they will help him find the family again. When tragedy strikes her family, Manami must find the courage to move beyond her guilt and try to help those around her. An author’s note tells a brief history of Japanese immigrants to America and why some of them were imprisoned during World War II. 181 pages; ages 9-12. Pros: A beautifully written story of a loving family supporting each other through unimaginably difficult circumstances. Manami’s present tense voice gives an air of immediacy to the story, and helps the reader watch events unfold through her eyes. Cons: Although her family members were kind and loving, no one really explained to Manami why they were forced to move. Summary: Young Bruce Wayne is fearless until one night when, after seeing a movie together, he and his parents walk down a dark alley on their way home. Bruce hears loud voices, then two bangs, and when he comes out of the alley he’s all alone. He finds a new home in a big house in the country, but now he’s afraid of the dark. One afternoon he falls asleep under a tree, and when he wakes up, the sun has set. Terrified, he runs for home, only to fall down a deep hole into a bat cave. He’s confronted by a monster bat, but discovers the courage within himself to fight it off. From then on, he is never afraid again; the last page shows him grown up as Batman. 32 pages; grades K-2. Pros: What’s not to like about the Caped Crusader? Jon Muth takes a break from Zen paintings to illustrate this tale with interesting contrasts of dark and light. 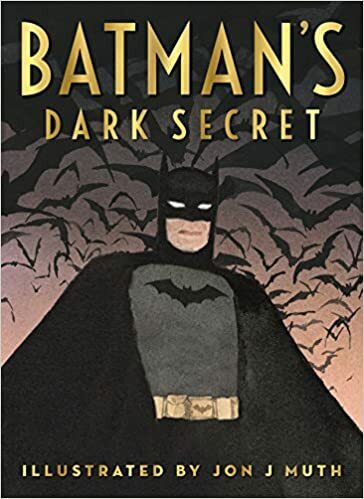 Based on the original story of Batman, this book is sure to please superhero fans. Cons: Although the action occurs offstage, there’s no denying Bruce’s parents are shot down in cold blood, which may be too disturbing for some younger readers. Summary: Nick and Eryn are surprised and dismayed to learn one morning that their mother is getting married to Michael, her boyfriend of two years. To add to the upheaval, their mother tells them they’re moving into a new house. Then she drops the real bombshell—unbeknownst to the twins, Michael has two children, Jackson and Ava. Nick and Eryn have never met these two, or even heard of their existence. They’re further mystified when they learn that each set of twins will spend alternate weeks at the house, so that they will never see each other. Mom and Michael plan to elope, so there will be no meeting at the wedding. Nick and Eryn are determined to learn the truth about their mysterious stepsiblings, little realizing that the truth will change everything they thought they knew about themselves, their families, and the world. 311 pages; ages 10-14. 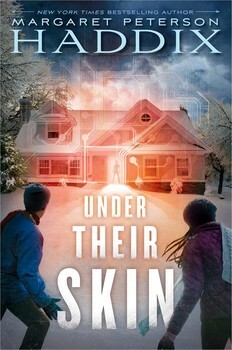 Pros: Fans of Haddix’s other science fiction books won’t be disappointed as she sets up a mysterious situation that unravels into more and more bizarre and unsettling revelations. As in past stories, two ordinary kids are inadvertently thrust into a situation in which they basically have to save the world. A cliffhanger ending all but guarantees at least one sequel. Cons: The adults in the story all seem somewhat stiff, with forced conversational skills. You’ll have to read about half the book to figure out why.